Our water treatment system Eddy has been doing well at drilling sites across the globe, including Mexico, and Northern Quebec. I’ve written about some of the successes we have had in helping customers go green and reduce water consumption. 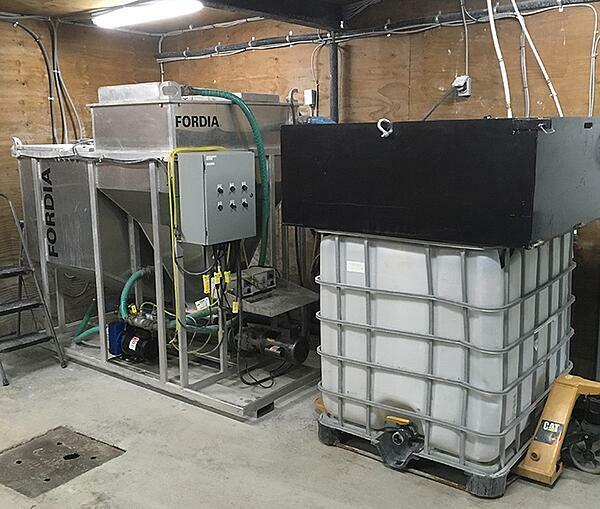 I love seeing how one product can be used successfully in different applications, and this is the case with Eddy, as new uses for water treatment are coming out. Core shacks, the place where core samples are stored and cut also need water treatment systems. Compared to other water treatment systems, Eddy is smaller and lightweight making it great for limited spaces. One of our customers recently started using the Eddy system in their core shack. Core samples that are stored in the core shack need to be cut using a saw and water. 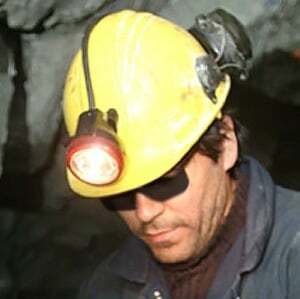 After cutting, the used water contains very fine particles of rock cuttings that remain in the water as residue. The water cannot be reused in the sawing of other core samples and this residue is at risk of clogging up the drains. More importantly, the water can be considered contaminated because it contains these rock cuttings. Our customer had been spending a lot of time managing this water problem and had tried many different ways to treat the used water, all with no clear success. Then one of their technicians had heard about Eddy, our water treatment system and decided to test the system at their core shack. Since Eddy doesn’t take up a lot of space, they were able to install it at the core shack. The customer had four core cutting saws that were operating simultaneously. They wanted to be able to treat the water and reuse it and find an easy way to manage the isolated cuttings. Following our recommendation, they ended up using 4’ by 4’ geotubes so that they would be able to recycle as much water as possible. The geotube is particularly good at filtering out water so the cuttings that remain are very dry. The great news was that the treated water was clean enough to be re-used with no threat to the environment or to clogging the drains. The water was reused in a closed circuit for several months without the need to add fresh water. The time spent managing residual waste water was cut down from several hours per day to less than one hour per day. Needless to say, the team was pleased and they decided to purchase an Eddy and install it permanently in their core shack. You can read more about the details of this case study here. 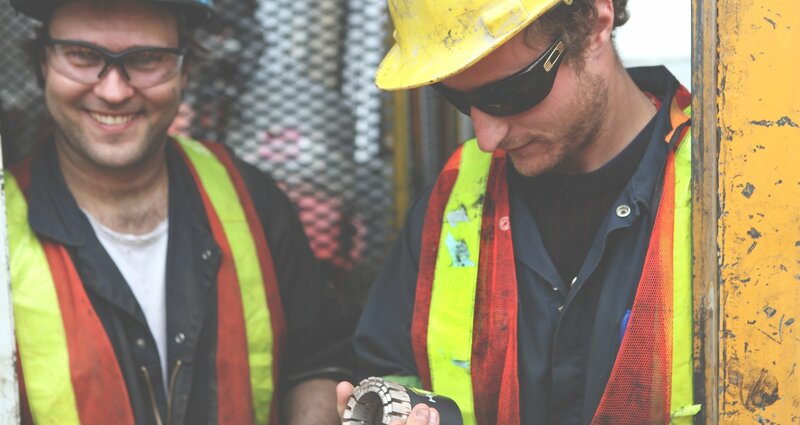 You should know that our team is always ready to answer questions whether is it about water treatment systems, diamond tools, drilling parameters, or to simply provide guidance in overcoming drilling challenges that arise on a drill site.